BISMARCK, ND—Today, the National Lawyers Guild (NLG), in conjunction with the ACLU of North Dakota, sent Freedom of Information Act (FOIA) and North Dakota Open Records Act requests to multiple state and federal agencies in response to the surveillance and arrests of the Native-led Water Protectors attempting to stop construction of the Dakota Access Pipeline (DAPL). In an affront to First Amendment rights, Water Protectors and allies have been continuously surveilled by low-flying planes, helicopters, and drones, and have had local cell phone communications jammed and possibly recorded. Dozens of local and out-of-state law enforcement have been called in, maintaining a heavily militarized presence at the site in an effort to intimidate activists and chill dissent. 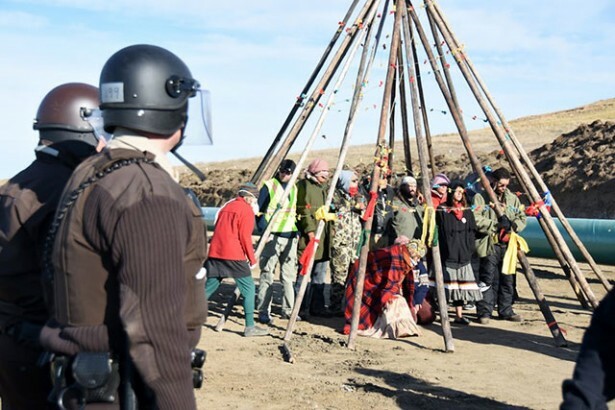 Despite remaining peaceful in their resistance, more than 140 people have been arrested at the protest site since beginning in August, with the Morton County Sherriff’s Department leveling trespassing and riot charges against Water Protectors and journalists. Earlier this week, finding no probable cause, a judge dropped the riot charge that had been brought against award-winning journalist Amy Goodman of Democracy Now! 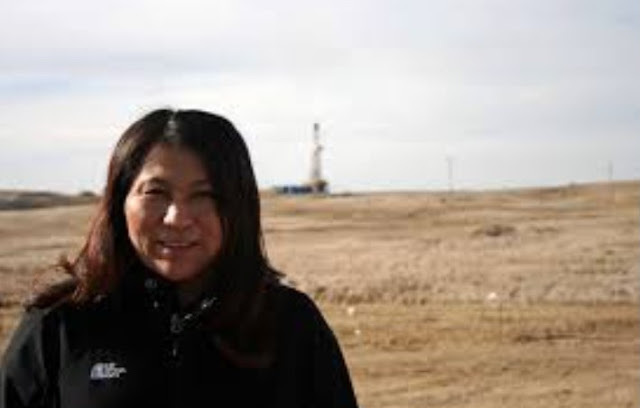 for her September 3 coverage of the protests and the violent response by a private security firm hired by the DAPL company. As civil liberties violations have continued to escalate over the last six weeks, the Indigenous-led resistance against the DAPL continues. More than 1,000 Water Protectors, allies, and supporters have descended on Standing Rock, constituting the largest gathering of Native American Nations in modern US history. The Red Owl Legal Collective of the NLG has been providing bond, Legal Observers, and legal support for arrestees. With these open records requests, the NLG and the ACLU of North Dakota seek to promote transparency and challenge any violations of constitutional rights. Above: Dale "Happy" American Horse, Jr., chained himself to a large backhoe on August 31, 2016 to prevent DAPL construction. Photo: Desiree Kane. About time. The world is watching. Our prayers go with the protectors. why not the South Dakota law enforcement too?? It is not just the ND enforcement, also outside Enforcement's from different states because there was a Utah license plates there! Wisconsin Law enforcement isn't listed? They came from out of state.